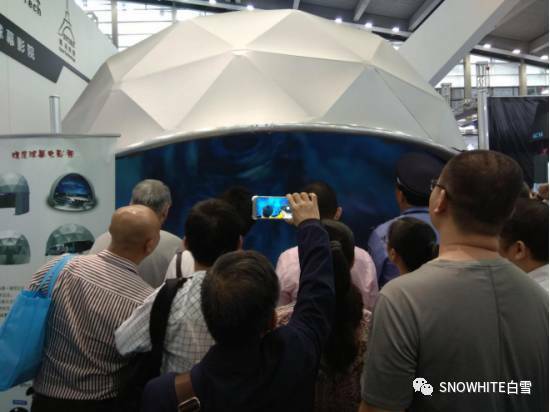 The Dome Screen Cinemas Became the Center of Attention in the CHINA HI-TECH FAIR._ShenZhen Snowhite Technology Co., Ltd. 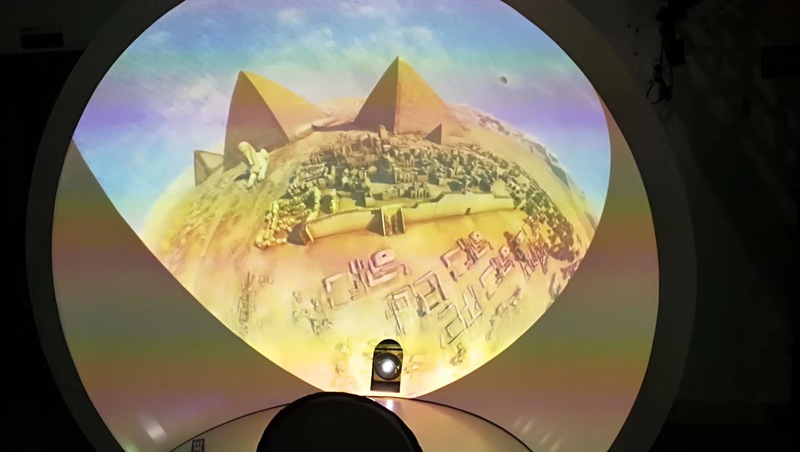 The Dome Screen Cinemas Became the Center of Attention in the CHINA HI-TECH FAIR. The fair, founded in 1999, is an important window for opening up of China's high-tech industry, and is an important platform for the industrialization of high-tech achievements. It is known as "the first exhibition of Chinese technology". It has promoted the construction and development of the innovative city for Shenzhen, and it is a sign of China's technological innovation and charm. Shenzhen multimedia industry association was formally established by shenzhen civil affairs bureau in June 2016. It is the third multimedia industry association in China. It mainly covers the fields of digital creativity, cultural software, animation games, virtual reality, film and TV content production, video and music, and smart devices. In the fair Snowhite built a 3.5 m diameter dome screen cinema, from open to closed the audience in an endless stream every day, the people who go through the hall all will stop to watch and praise. More and more shocked from the dome screen are children, they lied in the movie theater have watching won't leave, and taking mobile phone pictures or small video is even more numerous. Every step of the SNOWHITE can bring people different experiences, and each time, the audience will be impressed.